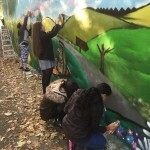 Our main specialist is a public/community mural and we have been involved in many successful projects throughout London and the UK over the last 20 years. 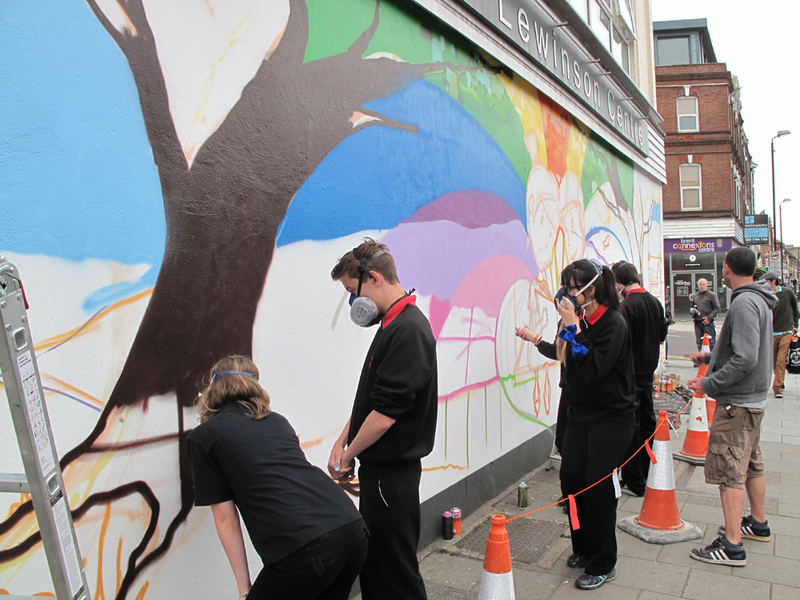 We believe passionately in the importance of communities coming together to share this experience and to revive redundant spaces with positive and uplifting artwork. 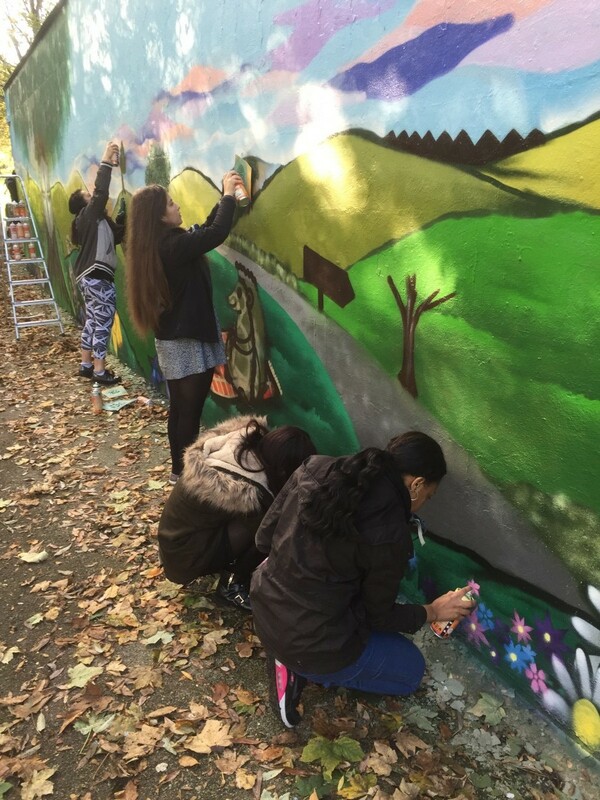 From our vast experience of creating community murals we fully understand the careful consideration, planning and consultation needed to create a piece which is enjoyed and respected by all ages. 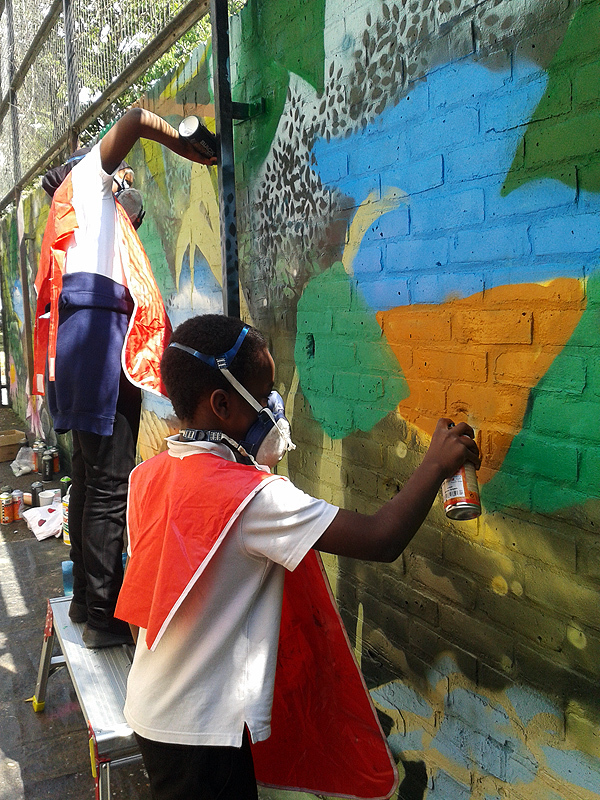 We feel it is very important to involve all areas of the community in the whole process from the consultation/design right through to the preparation and practical. 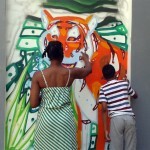 This creates a huge personal and collective sense of self-esteem, pride and ownership towards the artwork. 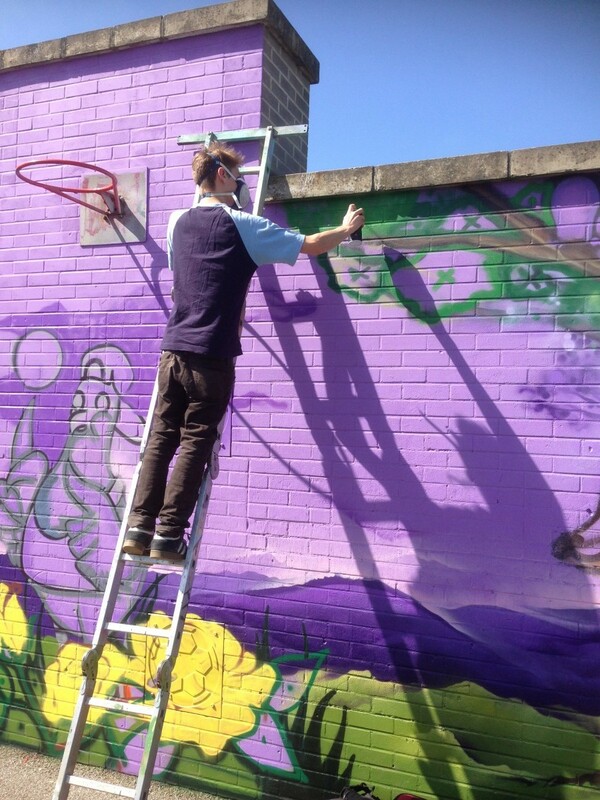 As a result almost all of our murals stay undamaged and are protected and cherished by the local people. 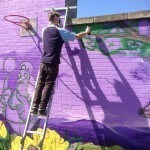 We can paint on most surfaces inside or outside. 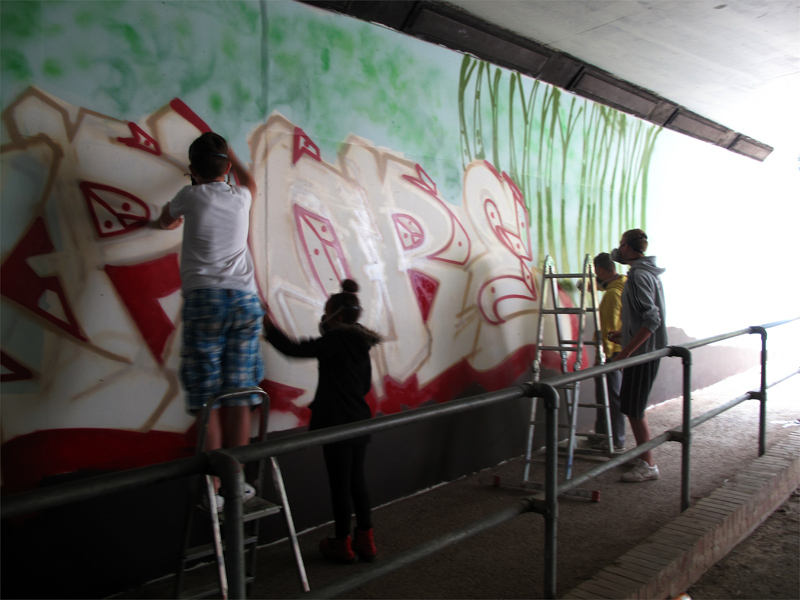 All we need from you is a picture of the wall and some rough measurements so get in contact now which your ideas. 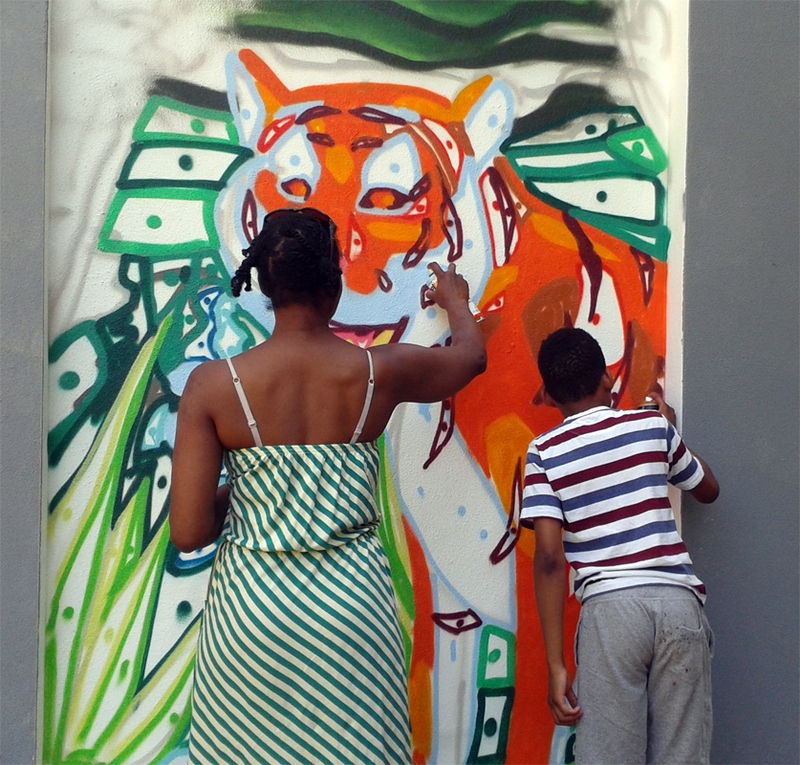 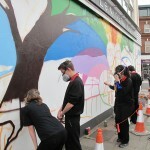 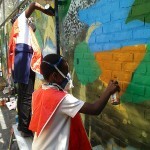 To find out more about our community murals and how to make a booking!